Many of us long to be fully present to this amazing existence we were born into, and often we can. But sometimes, we look for help. In Paths to Wholeness: Selections, psychotherapist, writer, and photographer David J. Bookbinder brings his capacity for inspiring personal transformation to his readers. 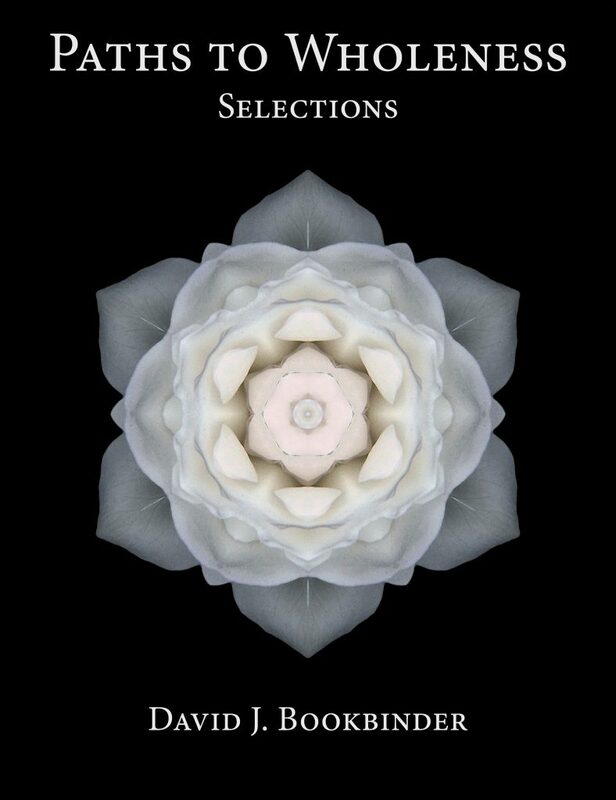 Combining insightful, pragmatic essays in the lineage of Carl Jung with award-winning Flower Mandala images inspired by Georgia O’Keeffe, David both shows and tells the tale of a spiritual seeker who, having traversed his own winding path toward awakening, now guides others to find balance, build resilience, overcome fear, and to expand their hearts by listening deeply, inspiring hope, and more fully loving. Carry it with you throughout the day, page through it as you drift off to sleep, knowing you are not alone on your journey to self-actualization.